Sprinkle a smidge of cinnamon on that toast, cereal or in your tea because cinnamon actually has some useful medicinal purposes! For centuries people around the world have loved this tasty spice. That tasty smell of cinnamon can help you boost your brain power, improve your long-term and short-term memory, and increase your attention when it’s smelled! If you like tea tree oil, lavender, patchouli and other popular herbs and spice then don’t forget about cinnamon. One easy way to get cinnamon is to sprinkle a little bit of it on your whole grain toast with Smart Balance butter. Yummy! Cinnamon is going to help you maintain good blood glucose levels and it is going to promote good blood flow. It can also burn fat and help control your metabolism. You want your body to have a good oxygen intake so that you can feed your muscles and create a lean and toned body. If you are workout person, getting a variety of natural herbs and spices can really help your energy levels. Just don’t overdo it, and consume herbs as part of a natural diet and use to season a variety of foods. Cinnamon has a sweet taste and can thus help quench an over-active sweet tooth. Cinnamon is touted as a good anti-viral and in the old days, workers believed that sniffing cinnamon helped to ward off the flu. People with diabetes are fans of this herb because the cinnamon can help to neutralize the effects of fatty carb-ridden foods. To control blood sugar ditch the cinnamon roll and instead sprinkle cinnamon on a fiber break or health food cereal. Don’t forget that cinnamon can also work well as an essential oil in crams, lotions, and aromas. Cinnamon botanical oils smell wonderful for aromatherapy, bubble baths, room fragrance, personal perfume, potpourri, and in massage oil. Organic cosmetic and essential oil brands carry the product. Nature’s Alchemy, for example, has an extensive selection of fragrances to please and rejuvenate your senses. money and success or alternatively it can be used as a healing charm. 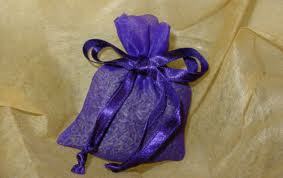 Change the color to be a purple sachet if you wish to enhance your magickal and/or psychic powers. To draw love and entice a suitor, try a pink or red sachet of cinnamon and place by your bed stand. A white sachet filled with Cinnamon helps to increase your goddess spirituality and to works as a purity and protection from evil charm. Did you know that one teaspoon of cinnamon has over 1 gram of fiber in it? That’s amazing. Fiber as you well know is going to help you maintain a healthy colon and keep your system working in and out. You want up to 4 grams of fiber in your diet ever day, so why not let a sprinkle of cinnamon help you? Get your daily amount of fiber by following a well-balanced diet with whole grains so that you can keep your cholesterol levels healthy and your weight down to slim and trim. Remember, you only need a sprinkle of this spice when the mood inspires you. As with many spices and herbs, too much of a good thing is not healthy and can in fact cause you harm. As far as spices go, a little bit of a variety of spices to season your food is all you need to reap the health benefits. Never overdo it. What you get in natural food and from a well-balanced diet that incorporates many different healthful foods is plenty.